In late 2017, Gecko Group was brought on board to collaborate with the Mystic Seaport Museum on a traveling exhibition that would tell the story of the doomed Franklin Expedition. This new presentation would reimagine the exhibit created and toured by the Canadian Museum of History, in partnership with Parks Canada Agency, the National Maritime Museum (London, UK), and the Government of Nunavut and the Inuit Heritage Trust. 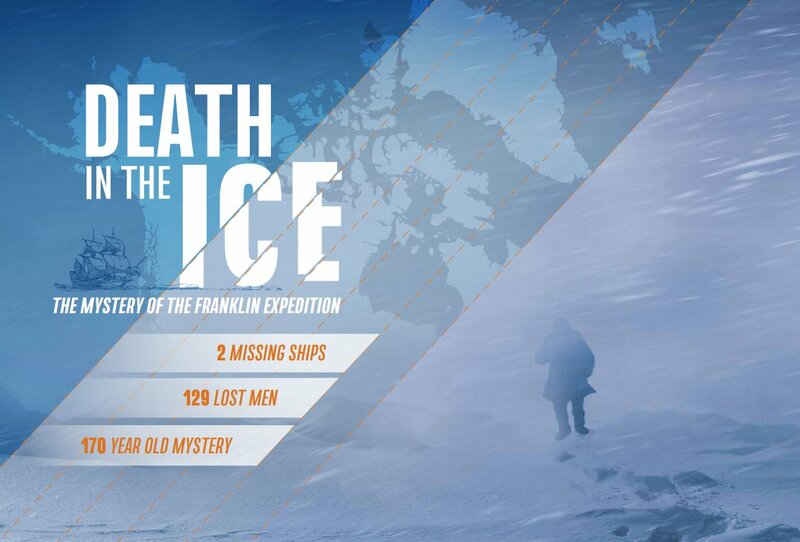 The exhibit tells of the mystery of the Franklin Expedition, a British excursion that set two ships, the HMS Erebus and the HMS Terror, on a journey to the Arctic in search of the Northwest Passage. 129 men did not return. Mysteries surround the expedition, as the final fate of the ships is still being uncovered. Inuit oral histories have proven invaluable in piecing the mystery together. The discovery of the Erebus in 2014 and the Terror in 2016 are helping fill in the story. Building on the content created by the collaborators of the Canadian Museum of History, Gecko Group and Art Guild worked closely with the Mystic Seaport team to create a new, engaging framework for the existing content. The team created stunning new graphics, evocative scenic elements that bring the ship and the arctic landscape inside, and compelling questions that drive visitors through the exhibit. You can see the exhibit now through April 28, 2019 at the Mystic Seaport Museum in Mystic, Connecticut. I want you all to know that your hard work, skills and efforts towards the Franklin project have been recognized and very much appreciated. By any measure, this was a complicated project with many constraints and tight timeframes and budgets. Graphic design, direction, color specs, continuity and integration. On behalf of Mystic Seaport Museum, I want to share with you how exceptionally pleased we are with the results of our partnership and your work for the Franklin exhibition. The show looks stunning: the ice, the colors, the richness, and of course the double-take Erebus, which no one can believe isn’t really wood. It’s no surprise that the head of CMH’s installation team has repeatedly mentioned to our staff how much stronger our design is than what was presented in Gatineau. Perhaps our biggest concern at the outset – that we didn’t have enough space – has turned into an asset, as the this, the smallest installation on this tour, is proving to pack a punch. It’s lean and mean, and ready to convert New England to Franklin fever. We know the foundation for this success is the extraordinary effort you all put into making this often daunting project a reality. Thank you. Tonight we celebrate!